THE budget-making exercise the world over, and particularly in Pakistan, is primarily an effort to raise taxes. And invariably and historically, budget-making is not a roadmap of economic policy. The new budget (yet to be adopted) is more or less the same. The projected figures of income and expenditure often change in the final analysis. As per tradition, those who are already in the tax net have been targeted and further burdened. 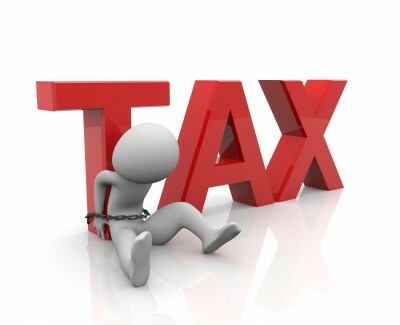 The taxpayers are usually salaried and documented sector or �captive taxpayers�. No serious effort seems to be visible to rope in people outside the tax net. A glaring example is the levying of a tax on movable assets, at half a per cent, on the amount exceeding Rs1 million. This measure may result in heavy withdrawal from banks and securities markets, thus creating an artificial bubble in the real estate sector. It will also result in tax evasion, as the collector rate, fixed decades ago, is only 10 per cent of the real market value. Trillions of rupees change hands in real estate trading. However, by providing compulsory use of National Tax Numbers (NTNs) for all real estate transactions and a 10 per cent federal special tax, the government will earn billions in revenue and also broaden the tax net. The money thus diverted can be used for industrialisation and other productive activities. In fact, this source of revenue may also help the government in lowering the GST rate. Even the policymakers know that an increase in GST will have a steam rolling effect across the board and further aggravate the already high inflation. Similarly, huge agriculture income is again let off the hook on the argument that it is a provincial subject. Why can�t a withholding tax on agriculture produce be levied beyond a certain threshold? Tax is usually levied on income regardless of its source. Keeping certain income like agriculture virtually out of the tax net does not speak of equity and fair play. The government needs to think about it. Alternatively, about Rs47 billion can be deducted from provincial governments� allocation as per their quota, since the chairman of the Federal Board of Revenue (FBR) has informed the Senate of such an amount of agriculture assets declared by landlords. The budget also provides the FBR access to bank accounts. This is akin to the freezing of foreign currency accounts in 1998, which resulted in a massive flight of capital and also shattered investors� confidence. The government, having a comfortable majority, should also pass a legislation guaranteeing people�s deposits in the banking system. Once such a guarantee is in place, the government can hope to invite investment by the Pakistani diasphora, which is estimated to be sitting on more than $200 billion. The Securities and Exchange Commission of Pakistan should be made responsible for checking NTNs before granting registration to companies. Hundreds of fake companies are registered for cheating the government through flying invoices. Shopkeepers should be made to pay a standard fixed fee, according to size of their shop, location and nature of business. This will eventually bring them in the tax net. The budget also tries to impose a tax on purchase and registration of motor vehicles. This should only be levied on persons outside the tax net. Honest taxpayers with NTNs should be spared this levy, and those outside the tax net should be asked to pay more. It does not impress taxpayers if only Rs150,000 is required to be paid for a vehicle worth Rs10 million or more. Hardly any proposal for the capital market was addressed by the budget. There is a fallacy that stock exchanges do not pay any taxes. What is disappointing is that such wrong impression is created by people, specially elected members of assemblies, due to their ignorance. Stock exchanges do not admit any one as a member unless they are registered with the tax authorities. Every investor in the stock market pays various taxes, regardless of the fact whether they make a profit or not. The government is advised to encourage developing a robust capital market, being a major shareholder itself, and if it wants to embark upon a privatisation programme through the capital market under the slogan �privatisation for the people of Pakistan�. Unfortunately, tax officers have been given wide powers, and with the reputation they enjoy in the society, it is likely to result in more harassment and corruption. The budget is very ambitious, and as per tradition, it has provided for more expenditure than estimated revenue. It is suggested that like a housewife, our policymakers should remain within the available funds, and avoid deficits. The revenue target is too high, and with inflation and a huge deficit, it seems to be a Herculean task to achieve. The finance minister pleaded that there was hardly enough time for preparing the budget, thus implying what most analysts suspect as a bureaucratic budget. Having taken the ownership of the budget, one may say, it has �Dar-link�. Lastly, the government should realise that it may not get another chance if it does not come up to the expectations of the people.